ConceptDraw DIAGRAM diagramming and vector drawing software extended with Seven Management and Planning Tools Solution from the Management Area offers the extensive drawing tools for effective drawing the PERT Chart of any complexity. 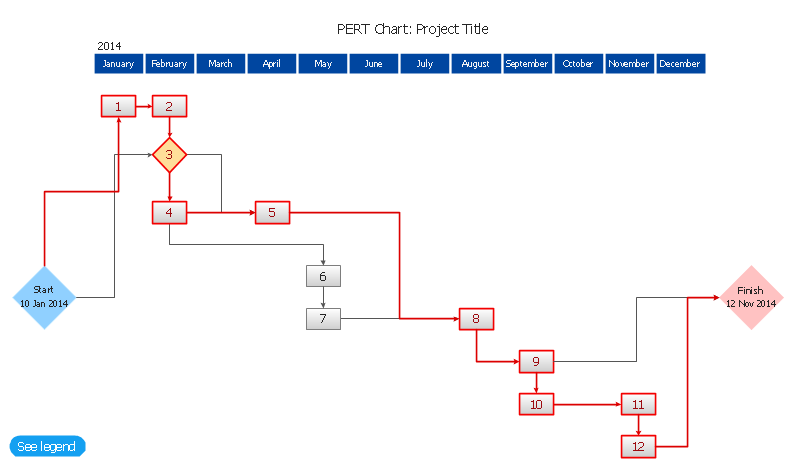 PERT Chart is one of the most commonly used tools from the set of Seven Management and Planning Tools. We are glad to offer the powerful ConceptDraw DIAGRAM software which can effectively help in PERT Chart drawing. 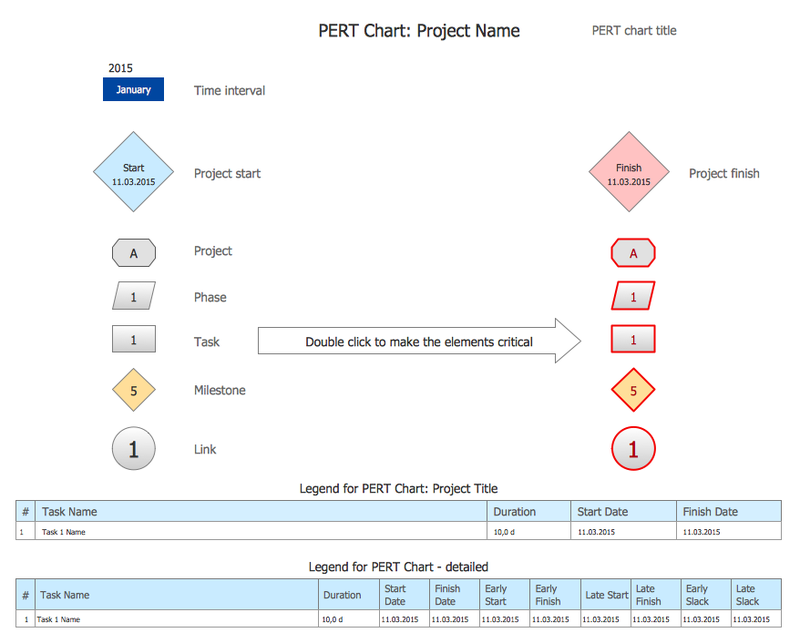 It's a perfect possibility to start drawing from the PERT Chart template included in Seven Management and Planning Tools Solution. But if you want to draw your PERT Chart in new document, you can use the predesigned shapes from the PERT Charts library which is also included in Seven Management and Planning Tools Solution. Look at the sample above, you can see that PERT Charts library contains a variety of ready-to-use elements which are usually used for creating PERT Charts of any detailing. 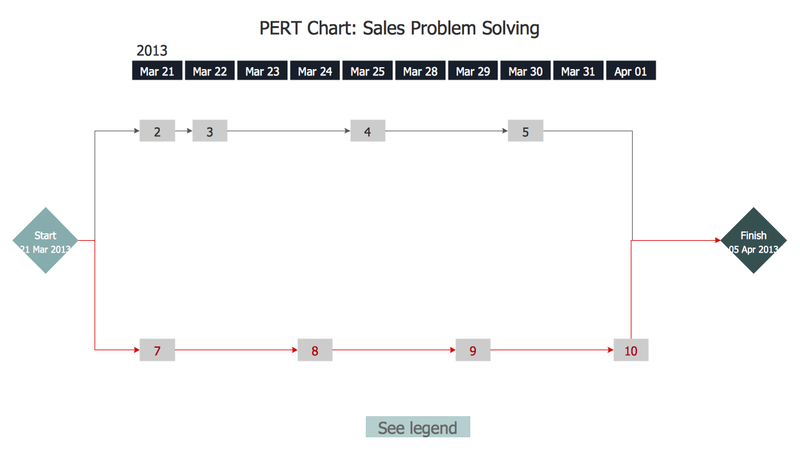 This sample was created in ConceptDraw DIAGRAM using the Seven Management and Planning Tools Solution for ConceptDraw DIAGRAM and shows the PERT chart for the sale problem solving. 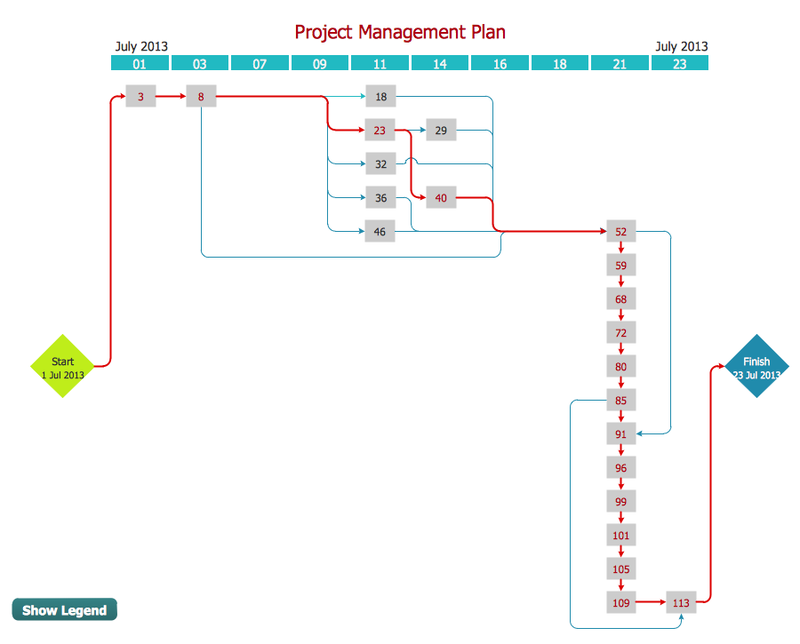 The critical path is visually highlighted in red. An experienced user spent 15 minutes creating this chart. Use the Seven Management and Planning Tools Solution for ConceptDraw DIAGRAM software to create your own professional looking PERT chart quick, easy and effective. All source documents are vector graphic documents. They are available for reviewing, modifying, or converting to a variety of formats (PDF file, MS PowerPoint, MS Visio, and many other graphic formats) from the ConceptDraw STORE. The Seven Management and Planning Tools Solution is available for all ConceptDraw DIAGRAM or later users.